PLUS SIZE NEWS: ERZULLIE IN SUPER SALE BAZAAR 1 DAY TO GO! 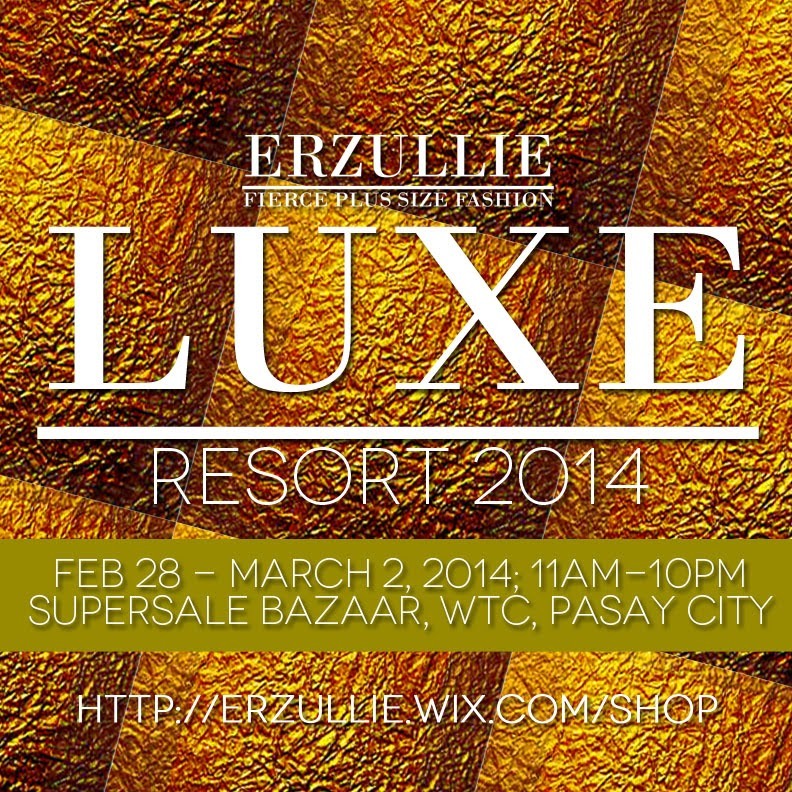 We are so excited to publicly unveil the Erzullie Resort 2014 collection at the Super Sale Bazaar, World Trade Center, Pasay City on February 28 – March 2, 2014 (Fri-Sun; 11am-10pm)! Buy the latest collection, get 50% off on some past items and enjoy superb personal shopper service in the Erzullie booth. See you there, ladies! I am technically an 80’s baby, but I barely remember this kind of fashion as I was born in the later decade. However, I heard that it was all about punching colors and inconceivable pairings. And although some may claim that the 80’s was the worst decade of fashion yet, I think that it’s all about the stretch and freedom of the possibility of style. 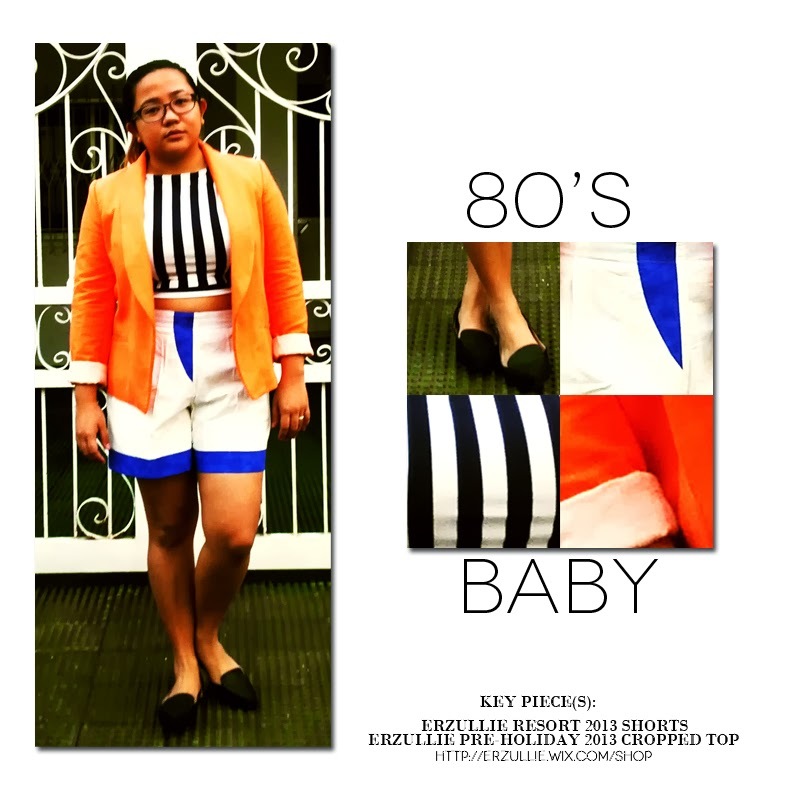 In this sense, this plus size style, “80’s baby” is all about taking a risk and hoping that it sticks! Combining the Erzullie blue and white stripe cropped top from the Pre-Holiday 2013 collection with Erzullie’s Resort 2013 shorts seemed like a bad idea, but then after pairing it with an orange blazer and black flats, seems just the right kind of style crazy. Take some risks today and see where it takes you. After all, it’s just one day.